Time of either the morning or afternoon . Time of both the morning and afternoon . 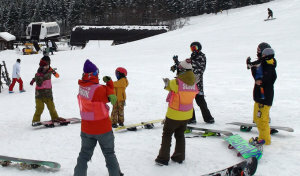 Additional persons join at cost of 4,000yen per person. ◎ For first time or could slip sideways. ◎ You could travers sideslipping slid zigzag path a falling leaf. ◎ Slide one side turn somehow or other. ◎ You could turn both directions on a gently slope. ◎ You could not turn on a intermediate slope. 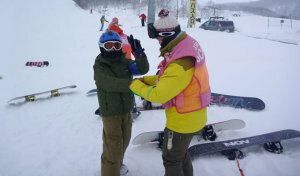 ◎ You could not turn on a steep slope smoothly. ≫learn linking skidded turns smoothly. 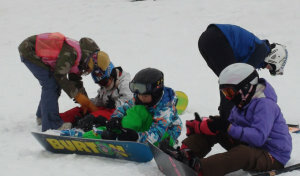 ≫learn to bad condition slope and intermediate slope. When a course is no vacancy, it may refuse an application, even if there is registration time. 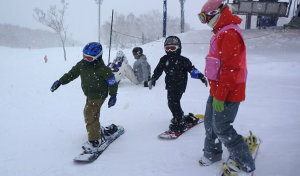 Lift ticket is not included in the lesson fee. 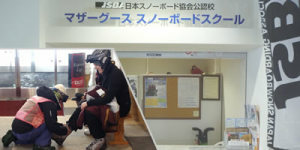 Please prepare the lift ticket. When one use is 8000 yen or more, payment is possible with a credit card. The reservation from the Internet is closed before the two-day day of choice. When canceling, a cancellation fee occurs. ４月８日で営業終了しました。 2017-2018 season, ended April 8.